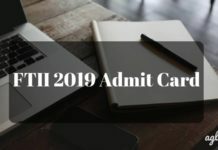 FTII 2019 Application Form has been released by the Film and Television Institute Of India for candidates willing to take the Joint Entrance Test (JET). 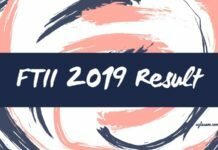 To apply for JET 2019 , candidates have to click on the direct link given below to apply online for the test. The application can only be filled in online mode by the candidate. The courses offered at FTII are broadly distributed in Television and film, and those candidates interested in the same must apply for the entrance test. 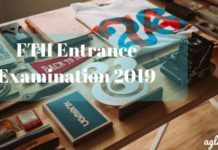 The complete detail on how to apply for FTII JET 2019 is explained in the article further. Latest: Application process Of FTII 2019 session is over now. To apply candidates will need to register first, it helps candidate create a login so that they can fill in the application form later or pay the fee some other time. 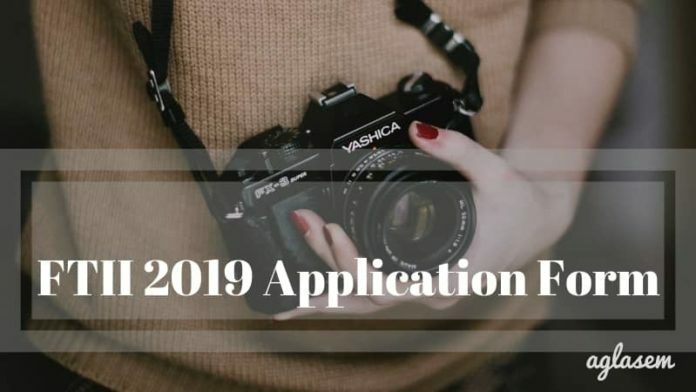 Although the application form must be completed before the last date to apply. The dates regarding application have been announced and given below in the table. The application form for Joint Entrance Test(JET) for admission in FTII has been released. The process to apply for FTII JET is explained below. 1.Registration: The very first step to apply for JET is to register and create your login. The login created will help candidates as they can further fill the application form, download the admit card or check result using this Login Id. After the Succesful registration candidates will receive an email regarding ID and Password. 2.Application Form: The successful registration will be carried on to the filling of the application form that includes the details listed below. Educational INformation such as year of passing 10th and 12th, Marks obtained in class 10th and 12th etc. Uploading of scanned photograph and signature is a mandatory field and candidates must follow the required specifications mentioned. That is photograph must be in passport size and signature must be structured. The application duly filled is to be submitted after which payment is to be done. The fee can be paid using Credit/debit or net baking only. This fee paid will be accepted only through The State Bank Of Patiala. The Application once submitted by the candidate cannot be corrected later. The candidates are advised to properly provided the details in the application form. There will be no correction window for application form correction later. It should also be known that the application fee once submitted by the candidate will not be refunded under any circumstances. The minimum cutoff marks required by the candidates belonging to different categories to qualify the entrance test are General: 50%, OBC(NCL): 45%, SC/ST: 40%. Candidates can not request to change the date of the written test, audition or interview. Do not carry any gadget or written papers in the examination hall. Candidates must submit only one application, multiple applications will e rejected by the institution. The application will be considered complete only after the payment of the fee.